Daffodils have always been my personal signal for the beginning of spring. They tend to come a little early here in North Carolina and sometimes get a little frost nipped before they bloom, but I usually call that “close enough” and get out my flip flops! 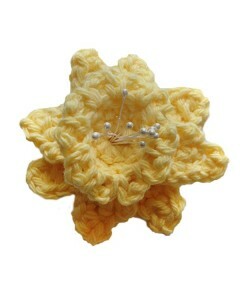 This Daffodil pattern uses only one color of yellow, but daffodils come in a range of white, yellows, and oranges. One common variety has white petals and a yellow cup. 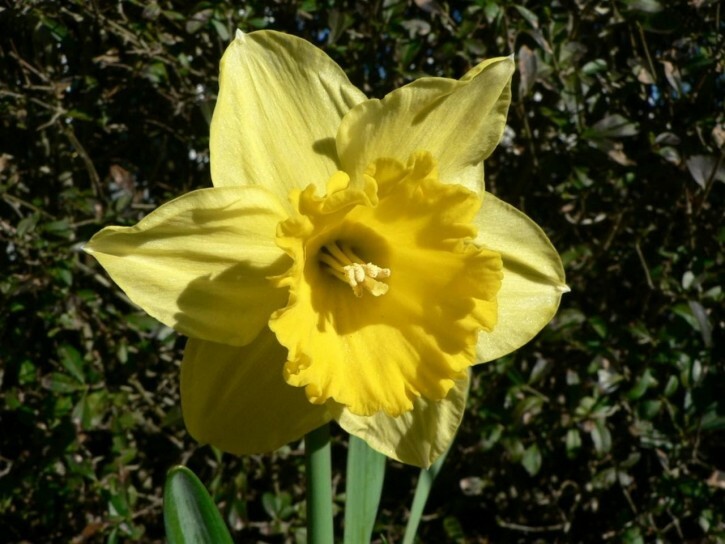 All daffodils have stamens – the little stalks inside the cup. We used some pearl tipped stamens from a craft store as a quick and easy way to add some interest to our flower. 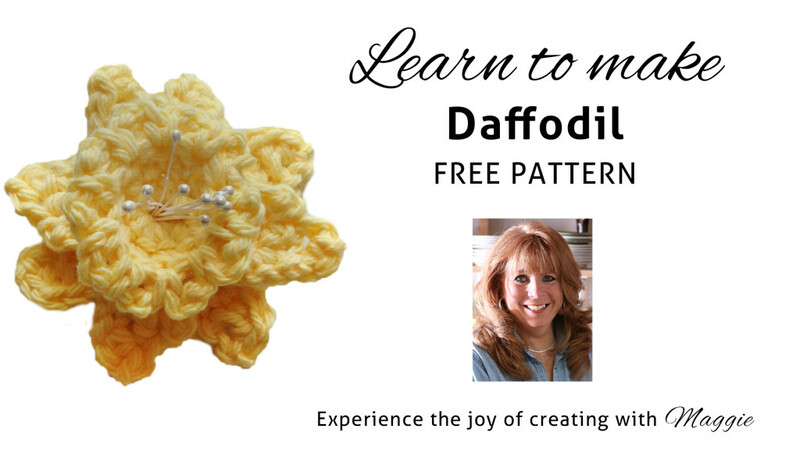 Click the photo for the Daffodil pattern. 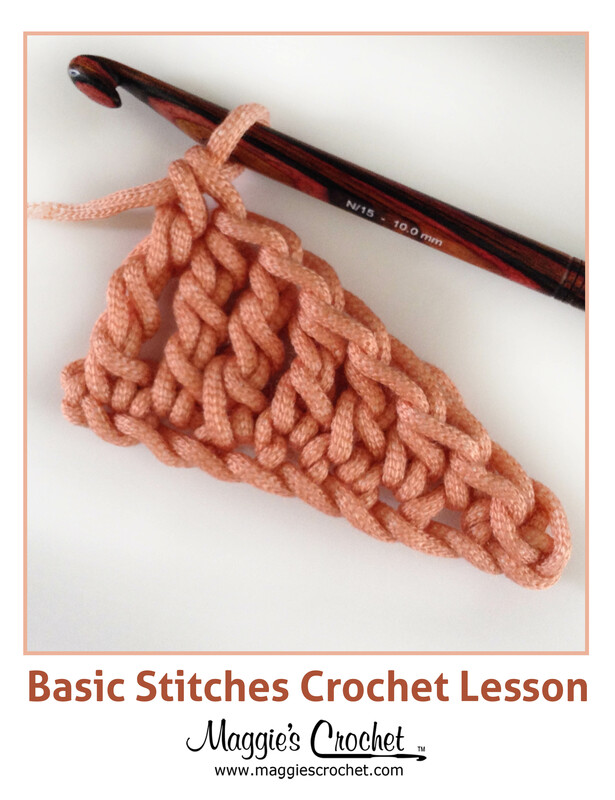 This project can be worked with any weight of yarn. 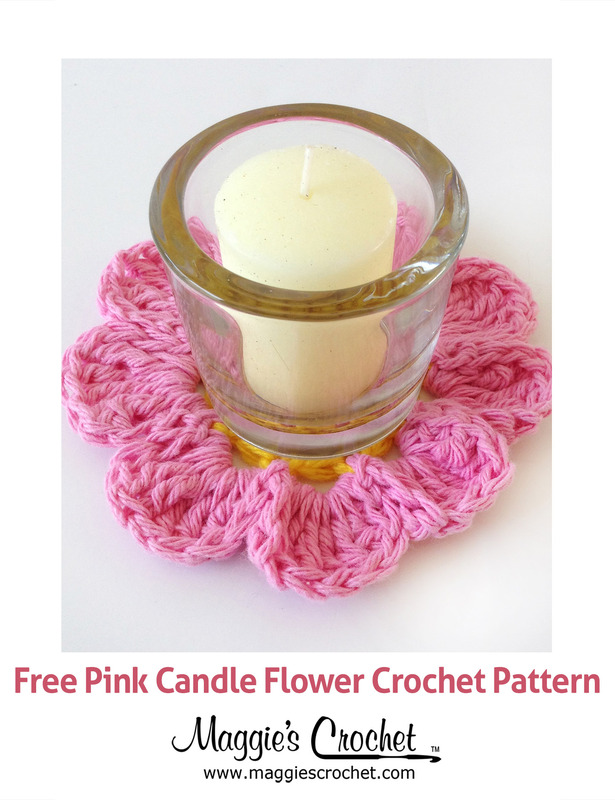 Finer yarns will produce a smaller flower, and bulkier yarns will produce larger flowers. 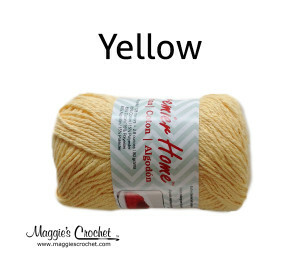 Just be sure to pick the hook size appropriate for your yarn! We used worsted weight yarn and a size H-8 hook. Click the photo for Home Cotton yarn. Maggie is excited to offer Five Free Flower Patterns: Chrysanthemum, Daffodil, Gerbera Daisy, Poinsettia, and Orange & Yellow Daffodil. Maggie's Essay Contest: I LOVE Maggie's patterns! I love the flower patterns as I often put them on hats I make and donate to Hospice and Cancer patients. However, I prefer working with the written pattern. Are all these flowers available in written form? Please let me know.